Jack is co-founder and CEO of Airwallex, a multinational cross-border payments platform. He is responsible for devising and implementing the overall strategic vision of the organization. 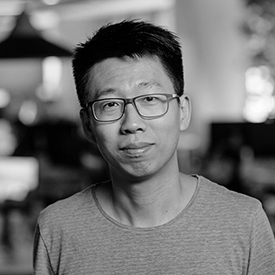 Under his leadership, Airwallex has expanded to 8 countries within three years and raised US $102 million in funding from investors including Tencent, Sequoia Capital, Hillhouse, Horizons Ventures and MasterCard. A Melbourne University graduate, he has over a decade of experience in foreign exchange trading and investment banking across London, Melbourne and Hong Kong. Jack was recently named Ernst & Young's Entrepreneurs of the Year in Australia and received the YiCai China Brilliant 10 Fintech Award in recognition of his international success and entrepreneurial spirit.